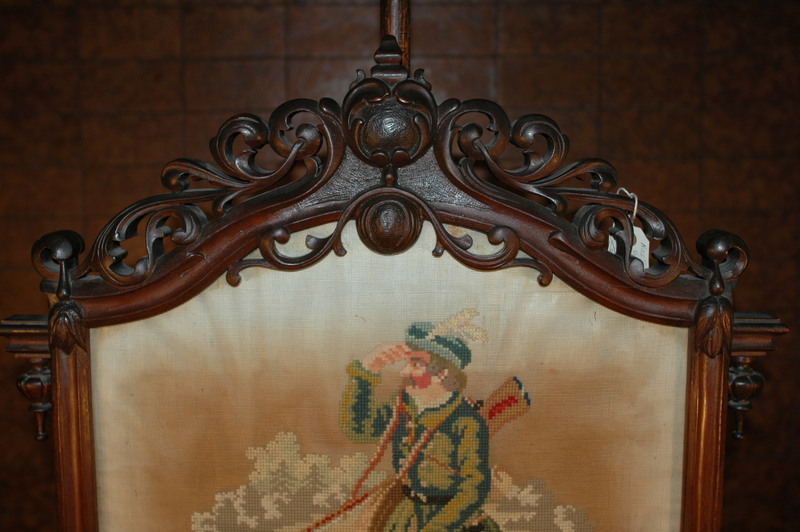 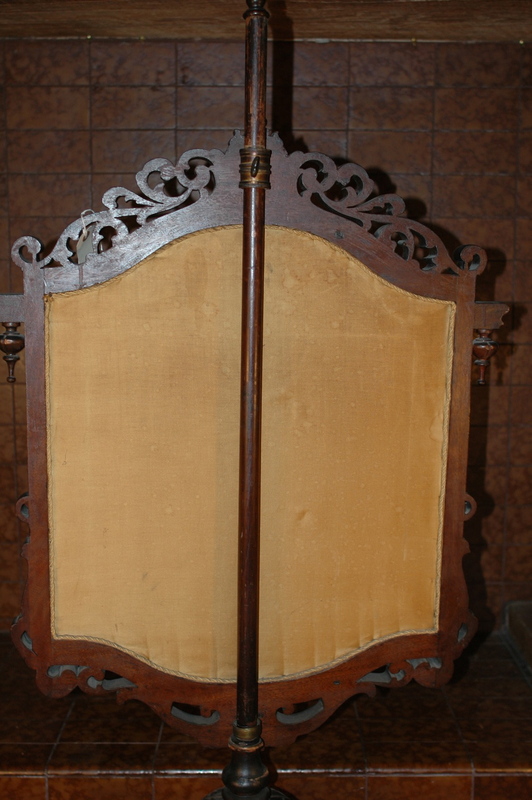 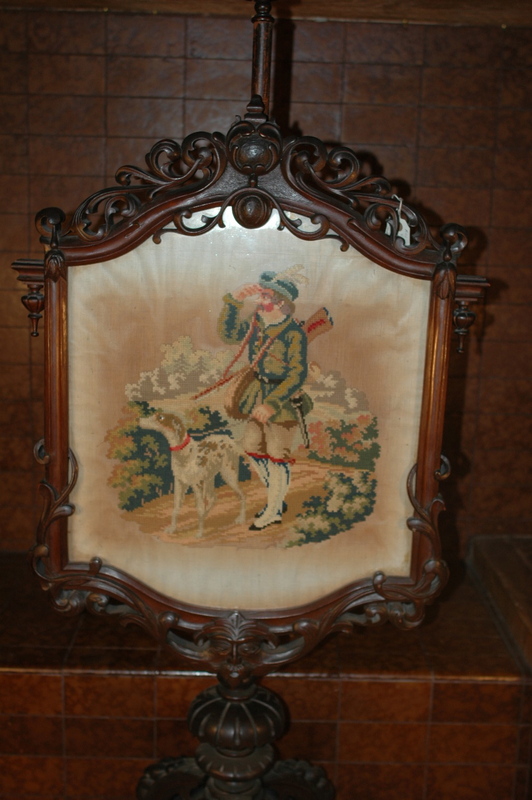 This beautiful Victorian fireplace screen was made in the 1870s. It was hand-carved and made of solid walnut. 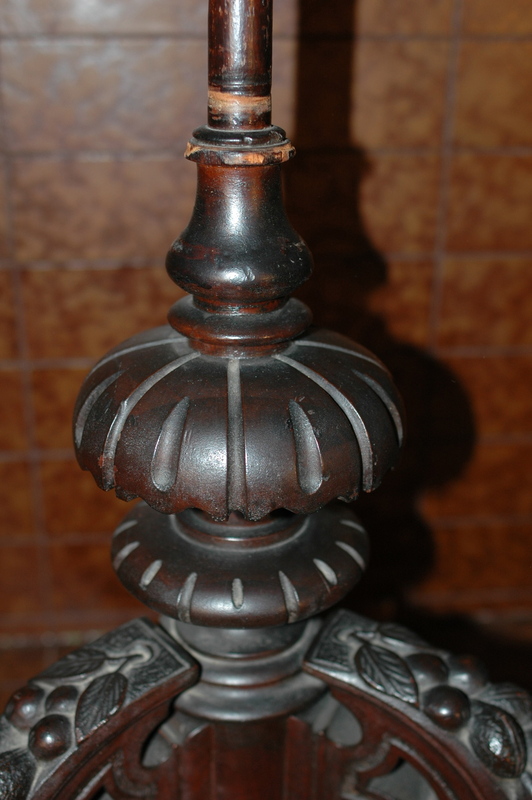 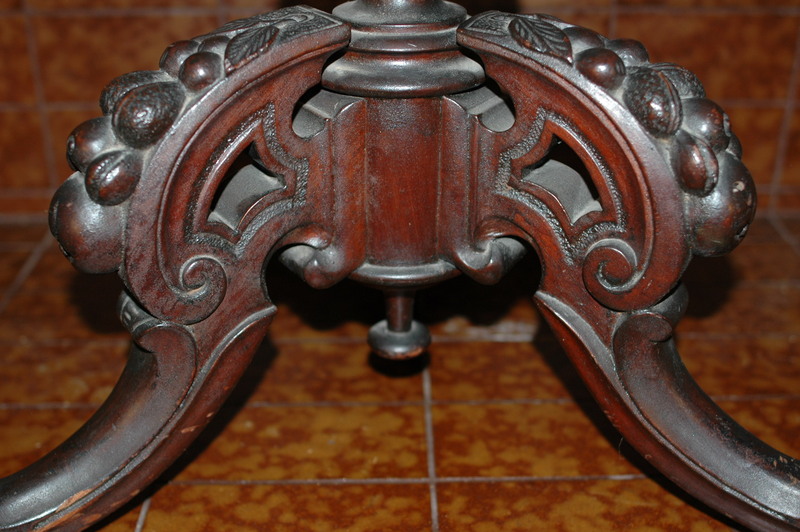 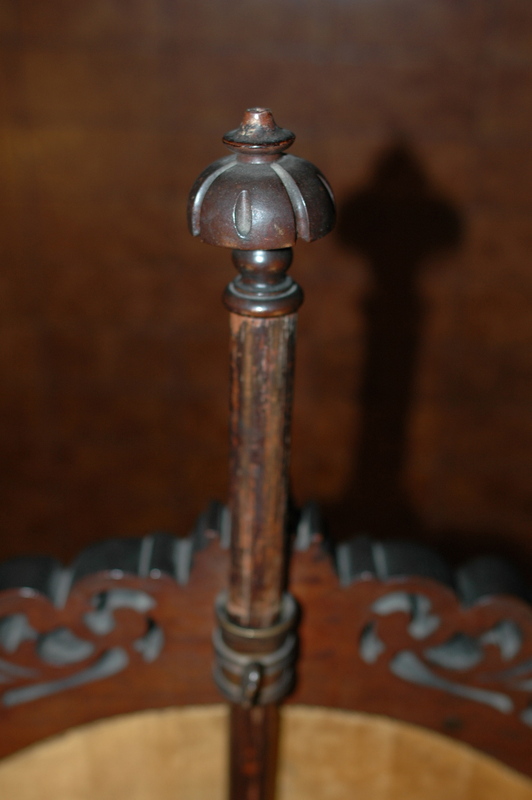 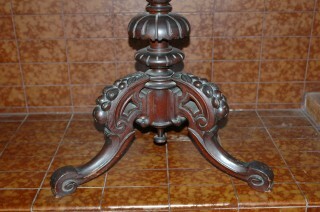 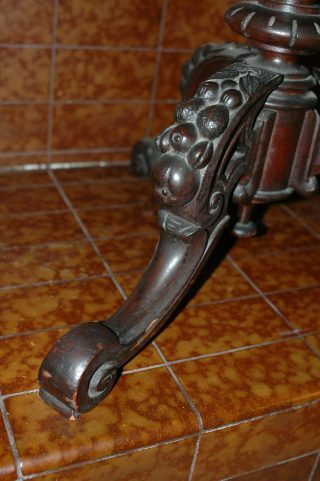 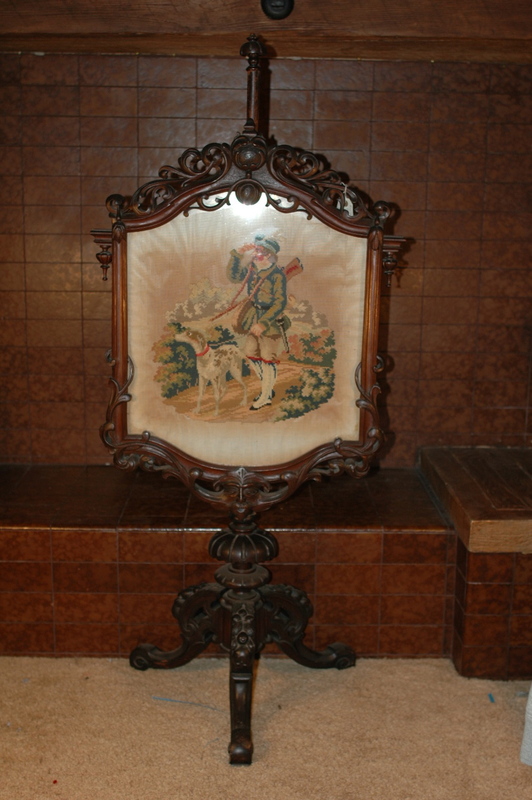 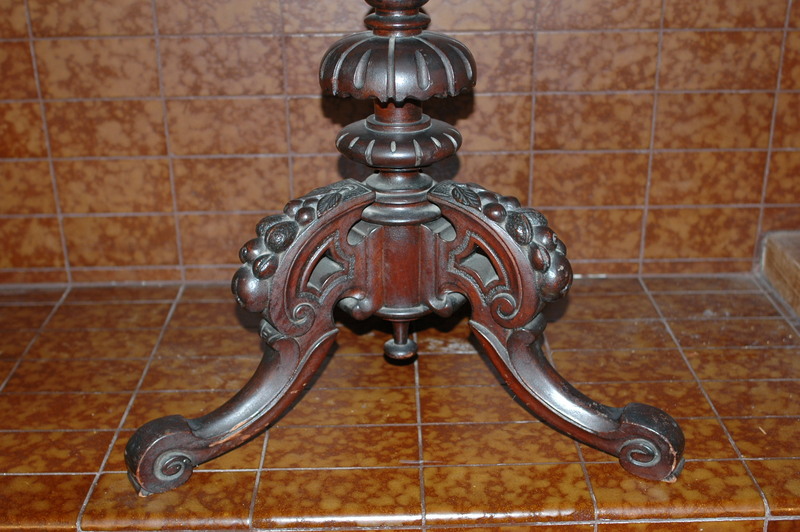 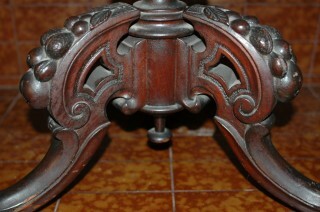 Has three legs carved with nuts and small fruits; scroll work adorns the top and bottom of the screen. 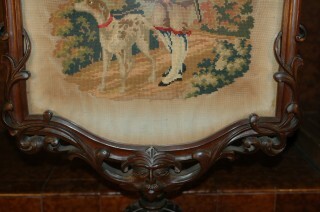 A hand-done needlepoint scence is framed in. 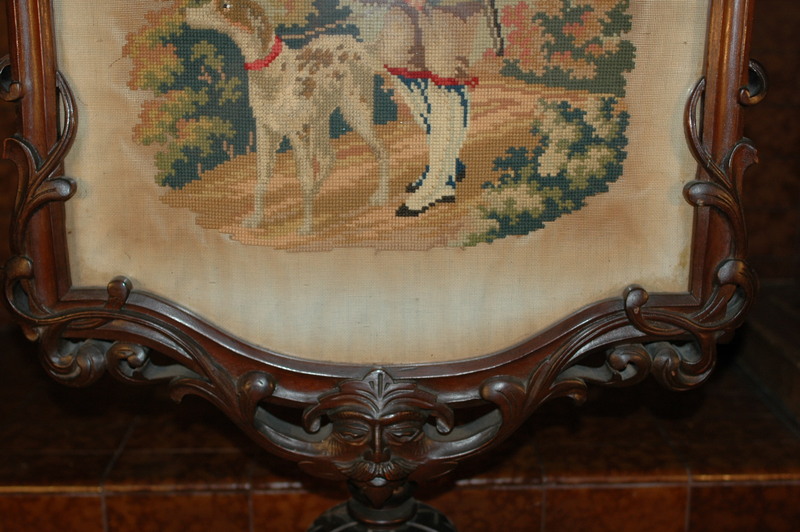 The finish and needlepoint are original. 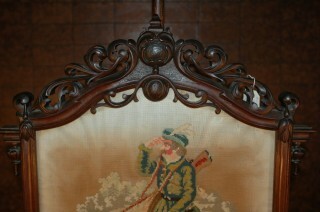 The screen adjusts to go up or down; however, the tightening screw has been replaced and worn. The finial removes to take off the screen. 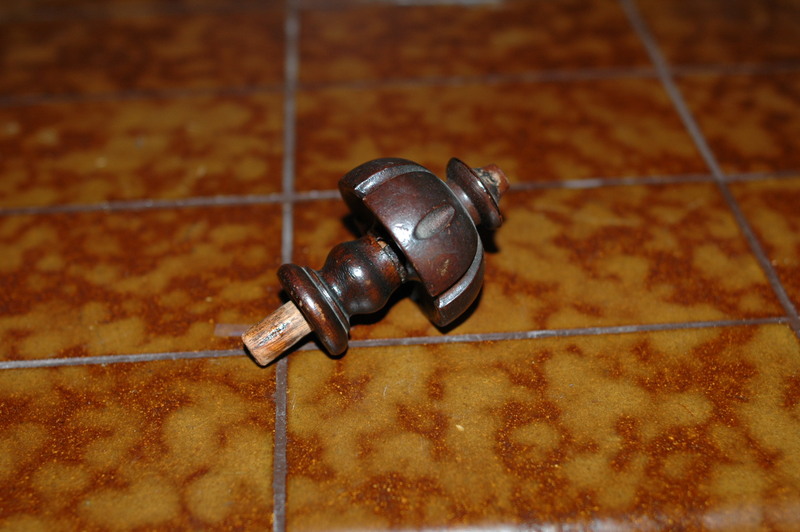 There are scrapes and a couple of dings from handling over the many years. 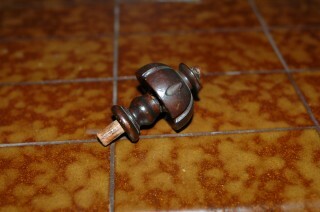 Piece is tight and sturdy. 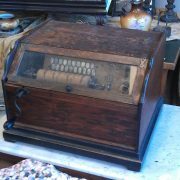 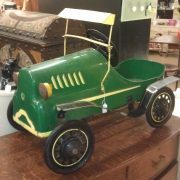 Still in great condition and is a lovely piece to display in front of the fireplace. 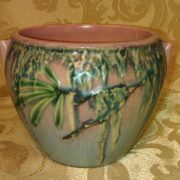 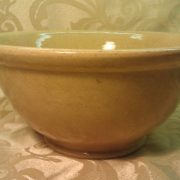 Measures 54-1/2″ high and 24-1/2″ wide.